News release from Strengthening Chicago’s Youth at Ann & Robert H. Lurie Children’s Hospital of Chicago. 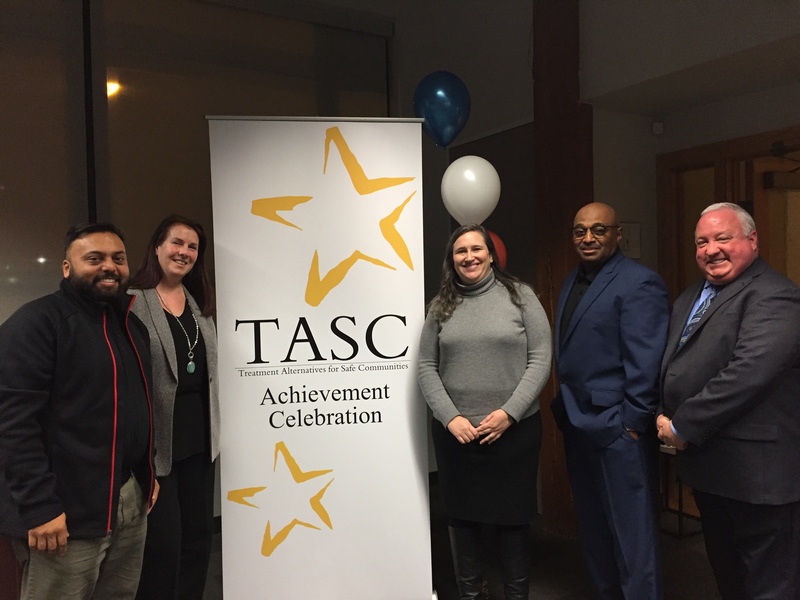 TASC is proud to be a partner in this initiative. (Chicago) – Strengthening Chicago’s Youth (SCY) at Ann & Robert H. Lurie Children’s Hospital of Chicago, together with Cook County Juvenile Probation Department, TASC, the Illinois Collaboration on Youth and 10 community-based service providers, launched the Juvenile Justice Collaborative project. Up to 50 young people, ages 12 to 18, will be referred to the Collaborative to receive appropriate mental health and other services instead of spending time in the juvenile justice system. In the Juvenile Justice Collaborative, young people will be referred to a centralized intake and referral home which will assess their needs and risk level, and then be placed with the appropriate community-based provider. During the 6-month pilot program, referrals will come from probation officers. Examples of youth that could be referred include those who are arrested for car theft, drug possession or fighting. Re-arrests, school attendance and health status will be monitored and measured, and the program will be continually improved. In the future, the program could be expanded to accept referrals from other sources. The 10 community service providers involved are Aunt Martha’s Youth Service Center; BUILD, Inc.; Heartland (Human Care Services); Lawrence Hall; Maryville Academy; New Life/Urban Life Skills; SGA Youth & Family Services; UCAN; Youth Guidance; and Youth Outreach Services. The Juvenile Justice Collaborative model is built on an extensive body of research regarding the most promising strategies to interrupt the trajectory of youth violence. As gaps in service level and location are identified, targeted youth service providers will be recruited to join the Collaborative. “Too often our young people cycle repeatedly through the justice system without getting the help they need; this approach provides a positive alternative to place them in programs that will help set them on a path to future success in life,” said Kimberly Foxx, Cook County State’s Attorney. The Juvenile Justice Collaborative is supported in part by the Illinois Children’s Healthcare Foundation; Cook County Justice Advisory Council through a grant from the Illinois Department of Human Services; Michael Reese Health Trust; Blue Cross and Blue Shield of Illinois; The Crown Family; and The Albert Pick, Jr. Fund. Past support provided by Polk Bros. Foundation.